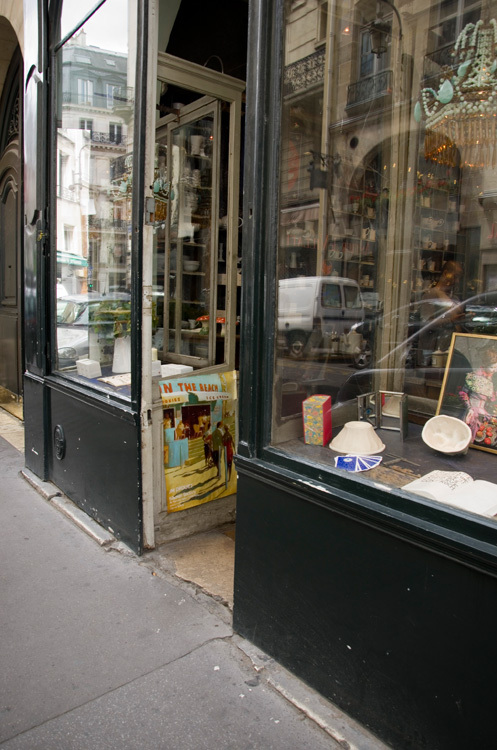 I've been meaning to write a post about Paris-based store Astier de Villatte for over a year now but kept forgetting or found myself onto something else (my attention span can be so short, if I were a dog I'd be a golden retriever for sure! 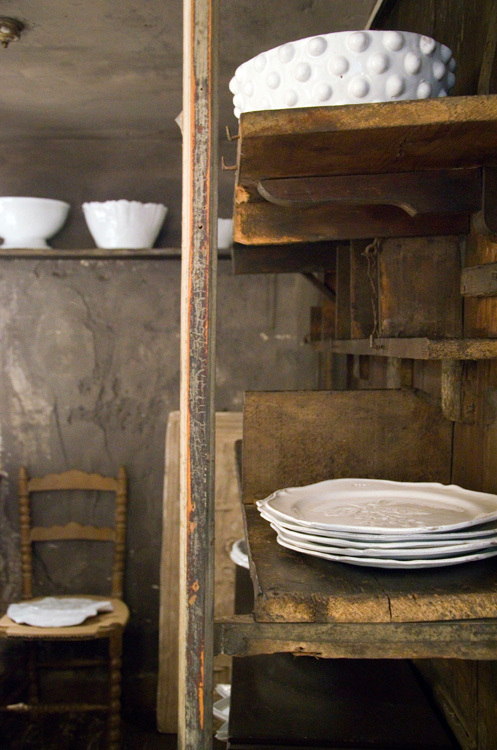 ), but today this will change because I'm focused and ready to share my ceramics obsession: Astier de Villatte. In fact, when I was at Liberty in April I vowed to tell you about Astier de Villatte ceramics even then, especially after using some of their pieces in the table styling demo that we did in Liberty's dining room (we used the Marguerite side and dinner plates, Marguerite Tea Cup, and the Conserve vases in small and medium shown below and a few other miscellaneous pieces). I imagine food served on these plates would look that much more appetizing and I've decided to start working on my collection of them, one piece at a time, since I currently don't own a single one. 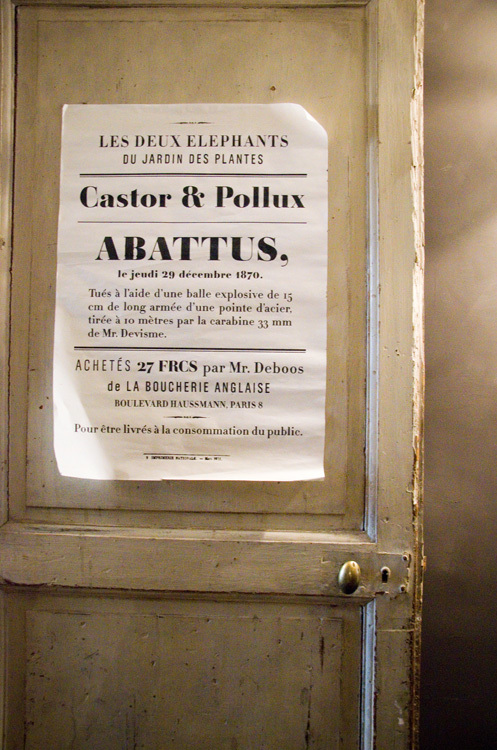 Perhaps one day I will own an entire Astier de Villatte table collection and fill my gray French vitrine with them - I imagine they'd look gorgeous inside of it and on my table as well. I'm quite pleased to finally have found my dream set of dishware. 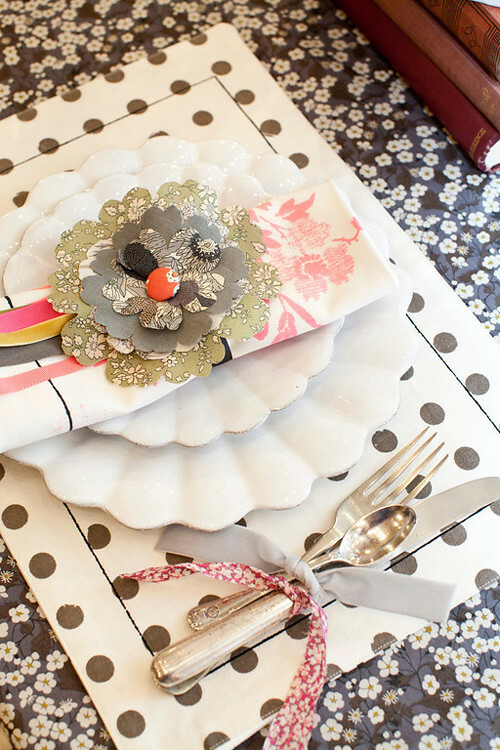 It sounds a bit materialistic and almost vain to say that, but to date, I've never found dishware that I was completely smitten by and I've been searching for a long time. 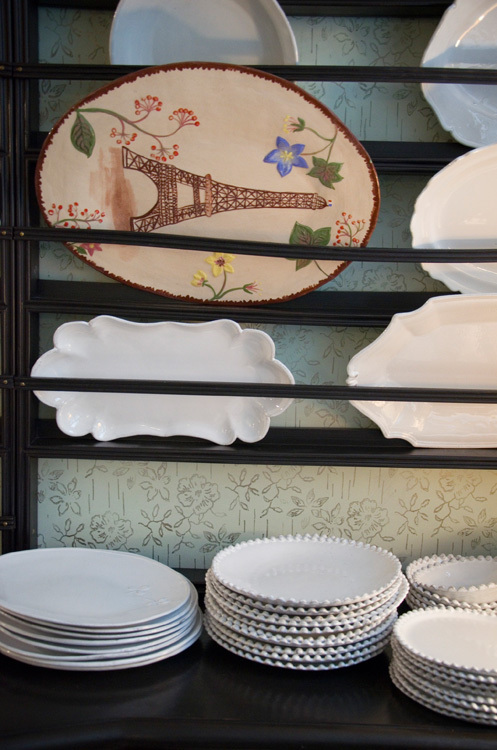 My current plates are basic plain white porcelain and my last set was plain white with a rim from Crate & Barrell, and though I liked them quite a lot, I didn't love them - they weren't something I would imagine passing down to my grandchildren. In fact, when I relocated to Germany I sold them at my yard sale. You see, like many of you who "get this", I've always wanted something (china particularly) to pass down because there has to be something of value, tangible at the end of the day other than tweets and blog posts or mass-consumed goods from the local big box store. When my husband's grandmother gave us an entire tea service for our wedding gift, something she had used for years, I teared up - it had and still has great meaning in our family and now that she has passed away she is still seated at the table whenever we use it. 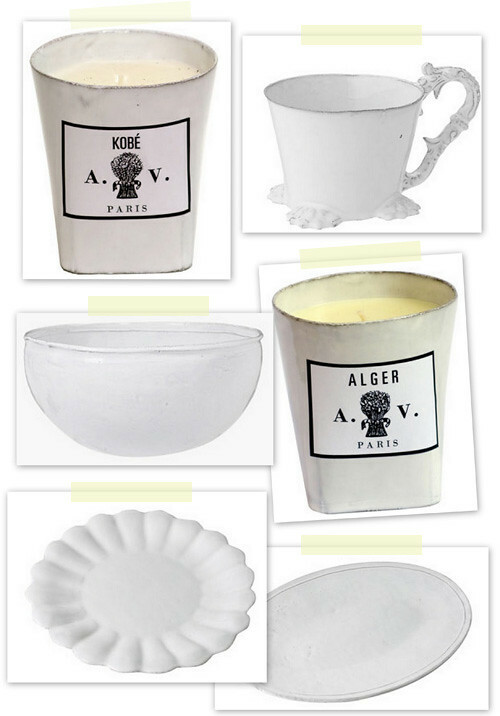 Though Astier de Villatte is a dream collection for me to own, I imagine building a collection piece by piece so that I can serve guests and someday, hand it to my children and they can pass it on... I want to start investing in a few things like this - in a world full of chaos, mass consumption, Made In China, war, terrorism - maybe a plate is a rather mundane thing to place emphasis on but I believe that the physical things in our "world" at home are bookmarks and links to our memories, to places, to things... and those can help us to feel a part of our own community and a bit connected -- a feeling of belonging and love that can be felt through taking tea from your grandmother's tea service because you remember when you would sit with her using that same tea set when she laid the table. Shopping is often dubbed, "retail therapy" and attached to negative feelings or consequences - but it doesn't have to be like that. It can be joyous and meaningful at times. I don't believe going into a big store and spending $100 on a cart full of plastic junk is joyous and meaningful. Most of that stuff ends up in your spring yard sale. I know, I've done it many times in the past. Quantity isn't the goal. Quality is important and when it comes to certain things, like handmade goods, quality often comes with a much higher price tag. You can't always afford everything to be "special" or meaningful though, let's face it - that's silly. But some things should have meaning, whether they are passed down to you from others that you love or found in a special shop that you enjoy, or of the highest quality. I sip my Kusmi tea a lot slower than I drink my Twinnings. It's not because I don't appreciate both, it's because the quality of one surpasses the other so the experience is better and because it's more expensive, the experience is also less frequent making it special. Would you like to see some photos of their shop taken just a few weeks ago by Aussie photographer (aka roving globetrotter reporter), Jillian Leiboff? 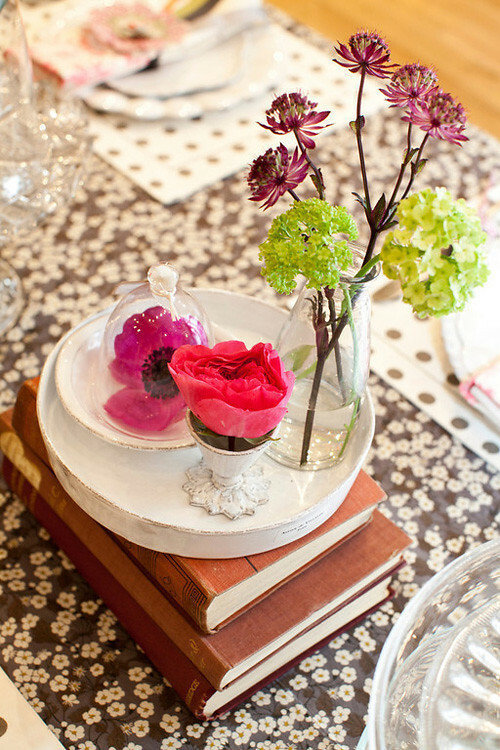 When shopping for decorative accessories, or even pieces of furniture, why not save for the cherished piece? Not everything need be the absolute best of the best, or even The feeling of collecting a piece of Astier de Villatte bit by bit, building the collection over time until it is complete, could be a nice memory passed down through these pieces to my future children. For my kids to know they had a mom who really took the time to collect something useful that had meaning and value. Who doesn't look back with fondness on a parent who cared about creating meaning? I know I'm going down a totally random path with this but I see great value in some material possessions, not all, but some and I encourage others to think more about how something can add a layer of meaning to your life. With each piece from the collection shown above handmade in Paris using black terracotta clay in milky white glaze allowing for the black to peek through ever so slightly, what's not to cherish about these pieces? While they appear to be quite delicate they are known for being extremely durable and are perfect for everyday use. They are even microwave safe and can be placed into the dishwasher... like I needed more reasons to want their dishes and mugs... I love their uneven forms which are quite thin and based on 18th and 19th century shapes, their irregular surfaces, occasional air bubbles, in fact their organic shapes appeal to me the most. 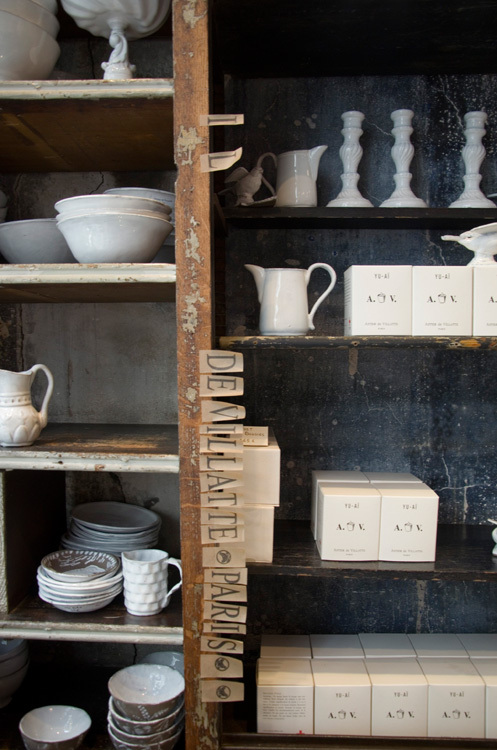 Astier de Villatte also carries their own beauty products, candles (available online at Barneys) and a carefully curated selection of antique furniture but it's their ceramics I love most. 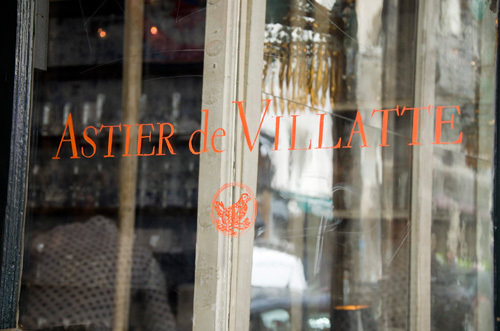 * The Astier de Villatte store at 173 rue Saint-Honoré in Paris. Meet Me in Boston, NY, Chicago, San Francisco, Los Angeles and Philadelphia!